Although Jr NTR has been maintaining that he would remain loyal to TDP founded by late NTR, his father Nandamuri Hari Krishna seems to be inclining towards YSRCP. Hari Krishna, who has been inactive in TDP for a while, has recently met YCP's MLA from Gudivada Kodali Nani and nonetheless Nani posted the picture on his social media is creating political storm. The former Rajya Sabha MP, Hari Krishna had quit his post during the unilateral bifurcation of the state. However, Hari Krishna was expecting to be nominated to Rajya Sabha in the next term which didn't happen after TDP snapped ties with the BJP and the number of Rajya Sabha nominations were limited to two members - CM Ramesh and Kanakamedala Ravindra Kumar, which in turn had closed doors for Hari Krishna. Upset with the recent developments within the party, Hari Krishna seems to be inclining towards YCP ahead of 2019 polls. It is also strongly buzzed that Hari Krishna is expecting to contest for MLA on YCP ticket. 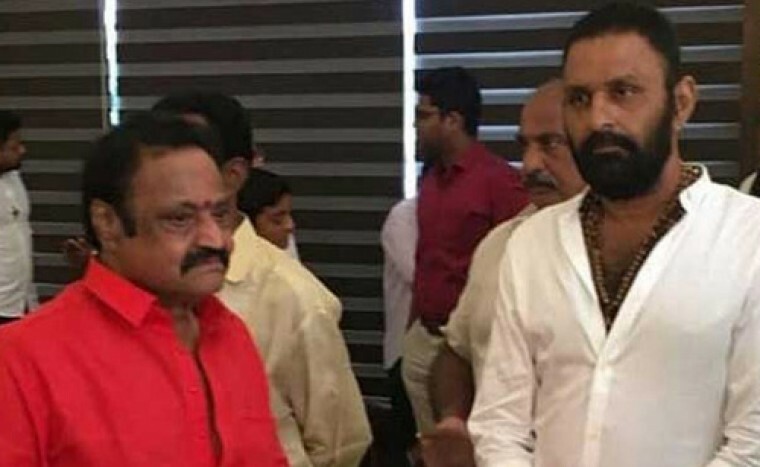 However, Tarak and Nandamuri family is yet to respond over the fresh round of speculations on Hari Krishna's future political course of action. Meanwhile, reports are rife that Kodali Nani is trying his best to rope in Hari Krishna into YCP. Nani is said to be under immense pressure from party chief YS Jagan to get Hari Krishna on board in order to send strong signals to people that Nandamuri family is politically split and is not sailing with TDP. Already, NTR's daughter Daggubati Purandheswari, who was earlier in Congress, has subsequently joined BJP and is cornering Naidu.